The Library is more than books. You can borrow CDs, DVDs, magazines and download or stream eBooks, eMagazines, music, movies and more! You'll find more than 1 million items for you to check out! We also have a highly trained staff ready & willing to answer all your questions & meet your research needs. Use the sections below to learn more about the library and services available to you with a Library card. Apply online for a Library card. To get your card, bring application, photo id & proof of current address to any library. Parent or guardian signature for anyone under age 16. Customers with proper identification are issued cards & may check out materials immediately. Customers with inadequate identification may be limited in the amount of materials they can borrow until their address is confirmed. Cardholders are responsible for items checked out with their card & must comply with rules set forth regarding use of the card. Cardholders are responsible for any fines, fees, damages, or loss of materials. Report loss or theft of a card to the library immediately. Notify the library of a change in name or address. Cards remain the property of the Library District and may be canceled, suspended, or repossessed at any time. Reciprocal Borrower A resident and/or property taxpayer of one of these library service areas: St. Louis County Library, St. Louis Public Library and the Municipal Library Consortium (MLC) of St. Louis County which includes the Brentwood, Ferguson, Kirkwood, Maplewood, Richmond Heights, Rock Hill, University City & Valley Park & Webster Groves Libraries. Click here for more information on reciprocity. Organization Business, Organization, Government or Institution Located in St. Charles County. Signature of owner, manager or fiscal officer is required and such person shall be considered as the custodian of the card. Click here for a Business/Organization library card application. School K-12 Any K-12 school located in St. Charles County may have a school library card (one card per school building.) Up to 100 items may be checked out on this card at one time, and Library District online electronic resources may be demonstrated for students. Click here for a School K-12 library card application. Boarding Students Students living on the campus of a school or college located in St. Charles County. Get due date and reserve notifications by phone, email, or text. Create reading wish lists. Opt in to keep track of your reading history. Place holds on materials that you would like to check out. Set the date that you want them to be available for pickup. Set up automatic notifications for your favorite authors or subjects and we’ll contact you when a new item is available. Use your library card number and your default PIN (the last four digits of your phone number) to access your account. Or set your own PIN or password. We offer automatic renewals for every customer on every eligible item. Access your account to view and manage your materials. See your current checkouts, due dates, any fees or charges you have accrued, and items on hold. There is a limit of six renewals per item. Customers are liable for charges on overdue materials. Materials on hold for another customer cannot be renewed. You may place a hold on an item in person, by phone, or online using the myLibrary Catalog. When you place the hold, you will specify the date that you want your item(s) to be available. Your item(s) will be delivered to the branch of your choice. You will be notified by email, phone, or text when your item(s) arrives. 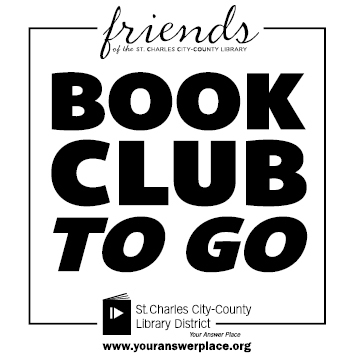 As part of service to the community, the St. Charles City-County Library District provides meeting rooms for use by local community groups and organizations. There is a wide range of meeting rooms and multipurpose rooms available for reservation. If you are interested in reserving a meeting room, you can find more details here. Use our online calendar to browse classess, check date/time/location for an event, or register. Internet-accessible computers are available on a first-come, first-served basis at all branches. A valid Library card is required for the use of a computer. Guest passes are available for visitors. Most branches have Express computers with a 15 minute time limit for short term use. Microsoft Office software is available on all computers. Printouts are available for 10 cents per page. A computer may be reserved by calling a branch Library. For more information on branch locations and hours, click here. If your device is connected to the Internet, you can print to the Library. Your document will be held in the print queue at the Branch you chose until the end of the business day. At the Library Print Station, use the email address used in your user information to identify and print your document. Materials not owned by St. Charles City-County Library (SCCCLD) may be borrowed from other libraries in the United States. Use the myLibrary Catalog to search for your item. If it is not available, adjust the Selected Resources to request an ILL through WorldCat Discovery. For more information or to use step-by-step instructions to request materials through an ILL, please click here. Library staff are available to speak to local organizations on a wide variety of topics. Library tours for groups are also available. To schedule a speaker or tour, visit our Outreach Services page. Overdue items are assessed at $.10 per day per item for most library materials. The maximum late charge is $5.00 per item. Most Wanted materials are assessed at $1.00 per day with a maximum charge of $20. Different late charges are charged for other types of materials. For a full list of late charges, see the Fees and Charges Policy. Fees are charged for damaged items, lost materials, and other library products or services. The fee charged for lost items will be the list price of the item. Pay online: Pay online via a secure connection. You will need your library card and PIN to retrieve your account. At a Library branch: Pay in person with cash or a check. Credit cards cannot be accepted at Library branch service desks. To ensure that your account is properly credited, please be sure to include your library card number on the check. Refunds may be issued for returned lost and paid items for a period of three months (90 days) following the payment of an item. Refunds will be issued in cash only. Third party providers used in the process to pay fines and fees via the library’s website are protected by SSL certification, a protocol for secure data transmission. The St. Charles City-County Library District does not collect or store any personal information, or credit or debit card processing data collected from this site. For more information regarding fines and fees, please see the Fees and Charges Policy. Let us come to you. If you or your residents are unable to visit the Library due to advanced age, illness, or disability, our Library to You services provides a way for individuals and facilities to receive materials. To receive homebound service or to volunteer to support Library to You, please visit the Outreach Services page or call the Outreach Services office at (636) 441-2300 x. 1640. Referrals for customers and partners are always welcome. The Library District has an extensive collection of books on CD. The collection includes popular fiction and classics as well as non-fiction. All library buildings are handicapped accessible. Staff are available to help lift books off of shelves, carry materials, or assist in finding information. If a sign interpreter or any special assistance is needed for a class or event, call the branch library seven days in advance. The Wolfner Talking Book and Braille Library is a free library service to anyone in the State of Missouri who has a visual or physical disability and is unable to use standard print materials. The library collection consists of more than 360,000 volumes of fiction and non-fiction books in non-print formats (digital, cassette and braille) for all ages. All materials are mailed free to and from library customers, wherever they reside. 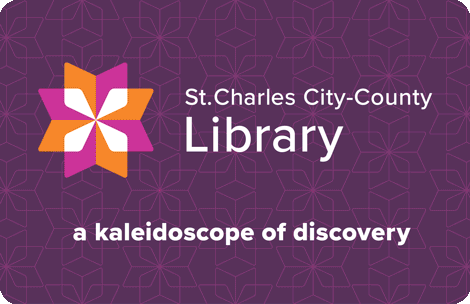 St. Charles City-County Library District is a reciprocal lender. We will lend to all libraries in the United States who will lend to us through OCLC under the symbol ZAC. We charge what you charge based on OCLC policies. Libraries with no policies in OCLC may be denied. At this time, we are unable to lend to libraries outside the United States. There are a wide variety of kits available including fiction, nonfiction, and classics. Each book discussion kit contains 10 copies of a title and a discussion guide. Book discussion kits are checked out for 10 weeks. No renewals. Book discussion kits will be free to reciprocal lenders on our courier routes (MALA and MOBIUS). Other reciprocal lenders will only pay shipping. Ready to request a kit? Please fill out this form. The loan period for most items is 6 weeks. Renewals may be granted for 2 weeks provided there is not a hold placed on that item. Borrowing libraries are responsible for paying cost of damaged or lost materials; we do not accept replacement materials in lieu of payment.